More than 1,900 people attended official Office of Open Records training sessions in 2017. We traveled the state again, including visits to Charleroi, Doylestown, Grove City, Pittsburgh, Roaring Branch, and Summerdale. The OOR provides training on the Right-to-Know Law and the Sunshine Act. We’re back on the road in 2018 — and this year we’ll also be conducting training sessions online. Our training schedule can be found here. This information is from the OOR’s 2017 Annual Report. The Office of Open Records conducted 110 Right-to-Know Law mediations in 2017. Our mediation program can be an effective way to resolve disputes between requesters and agencies. Many of our Appeals Officers are also trained mediators and can conduct mediations via telephone or in person. When a mediation is successful, the appeal is withdrawn — saving both sides the effort of engaging in a formal appeal process and ensuring that the case never goes to court. Either side can choose to end mediation at any time; if this happens, the OOR’s traditional appeal process begins. More about our mediation program can be found here. 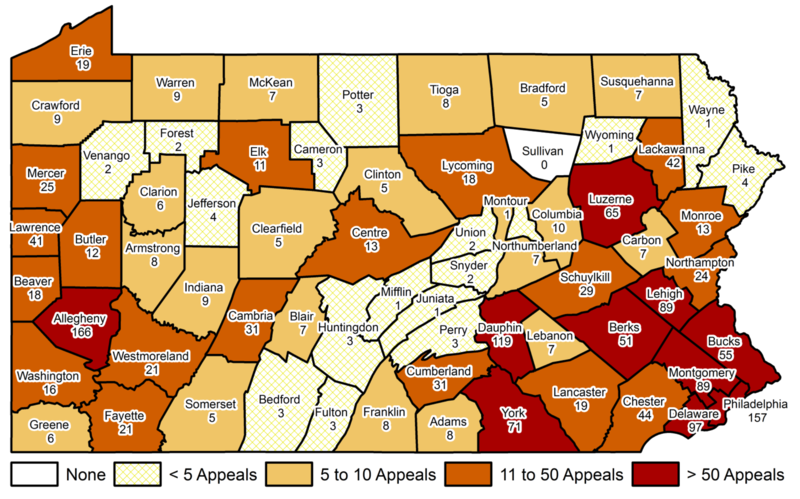 This map shows the number of non-inmate appeals involving local agencies which were filed with the OOR in 2017. 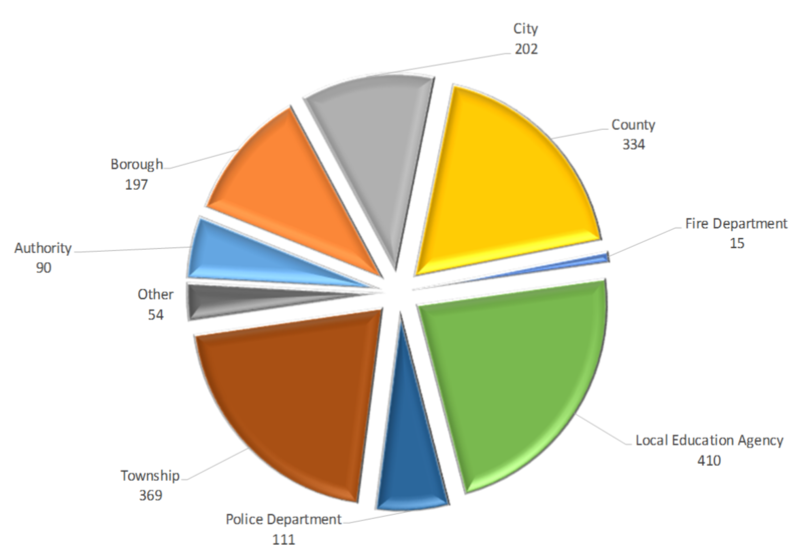 All local agencies (e.g., county government, school districts, municipalities, etc.) are included in each county total. The top 10 counties by this measure are all among the top 15 most populous counties in Pennsylvania. In 2017, for the first time ever, the Office of Open Records tracked the issues raised by agencies and addressed by the OOR’s Appeals Officers during Right-to-Know Law appeals. This data gives some insight into the reasons most commonly raised by agencies for denying access to records. The OOR’s Appeals Officers also heard hundreds of cases in which the agency asserted that the requested records didn’t exist (426), the requested records weren’t in the possession of the agency (184), and the request wasn’t specific enough or asked questions rather than seeking records (117). Many appeals heard by the OOR involve more than one exemption and/or other reasons for denying access to records. We will continue to track this data in coming years. Over time, the comparison between years should become a useful tool. 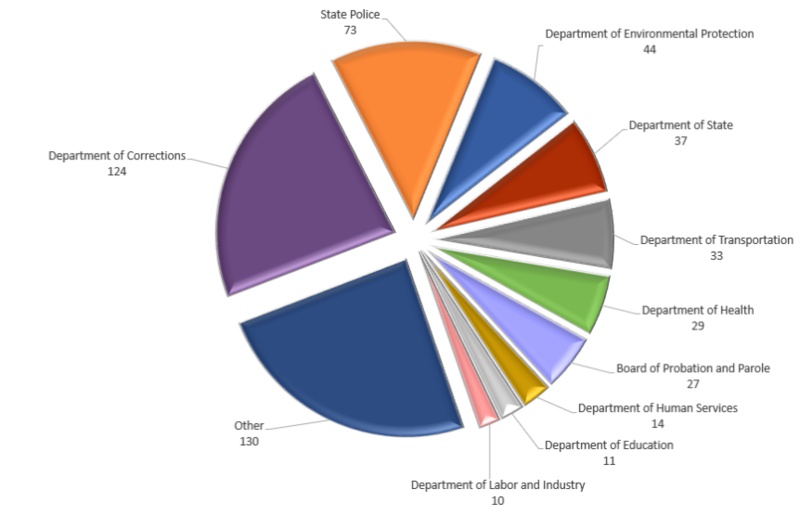 In 2017, the Department of Corrections was involved in 23.3% of Right-to-Know Law appeals filed against state agencies. In 2017, municipal governments (cities, boroughs, and townships) were involved in 43.1% of Right-to-Know Law appeals filed against local agencies.